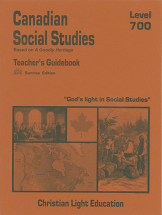 A five or ten-unit course based on the textbook A Goodly Heritage. 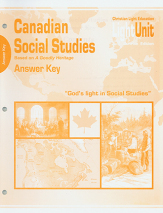 The first five units are study guides based on the textbook, and the last five are optional unit studies. 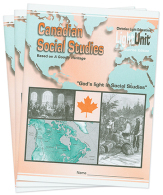 Canadian History up to Confederation. The teacher's material includes help for teaching the course, alternate Lightunits tests, and more. Item: T78075 Pages: 24 Size: 8.25 x 11 Binding: Paperback Publisher: Christian Light Publications, Inc.